If you are a seasonal industry or someone who is mass hiring in large volume, you have a deadline, a boss, and not a moment to waste. Managers are juggling, multi-tasking, and losing ground. Good managers are hard to find. In fact, they are invaluable members of your team. A 2012 Stanford Study shows that having a boss who ranks in the top 10% is like having an additional member on your team. They motivate others. They manage time effectively, and they are always looking for more. Good managers are looking for ways to improve productivity and cram more hours for themselves into the day. They rely on their gut or intuition as time is increasingly short or pressed at work. This is especially true during the busy holiday shopping and staffing season, and one solution to manager proactivity could very well be the speed interview. When it comes to hiring faster, better, and more quickly, the solution just might be the speed interview. 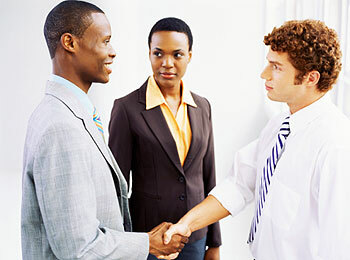 Traditional face-to-face interviews range between thirty minutes to an hour and a half for one interview. For a manager who is looking to hire a temporary workforce of 50 or more they just might interview more than 125-150 candidates. There are not enough hours in the day. Speed interviews provide a quick, personal, and private alternative for a hiring manager who is looking to qualify candidates quickly, easily, and most important quickly. Lasting just sixty seconds these are fast paced conversations where the manager assesses whether the candidate moves on to the next interview round. Hiring managers use resume and job applications in this fashion spending an average of 6 seconds scanning a candidate’s resume. Yes, you read correctly 6 seconds. · Video Introduction. This is recorded video introduction or pitch that the job seeker provides a hiring manager. It is difficult from a video interview in that the job seeker quickly articulates their job qualifications and special skills while working hard to make a professional and personal impression without a series of interview questions. · A Formal Event. Candidates and employers meet in a speed dating style format. The employer organizes quick sixty-second meetings with a hiring manager and job seeker either in a formally. This works best at an event like a career fair, open house, or networking events. · Telephone Interview. A common practice among recruiters is to quickly qualify job seekers over the phone. These interactions are not planned like a traditional formal interview that is scheduled and lasts 5-15 minutes so job seekers must be prepared. Recruiters can quickly ask a candidate about their availability or for an explanation as to any red flag that may have surfaced on their application. Speed interviews can be used a number of different ways. For recruiters and hiring manager’s it is very important to be familiar with the job requisition qualifications before you meet with the candidate. Plan your interactions and what qualities you are looking for saving you more time and effort throughout the hiring process. Undoubtedly, Chanel replica handbags are the different types of plastic bags famous, many people want to see. This is real, real Chanel bag is expensive in the world many people still want to http://www.docman.com/feed.html see their ability, it is at this point, Chanel replica handbags entering dialogue. These Chanel replica handbags designer Chanel handbag is the original clone. If a person can see the original Chanel handbags and replica Chanel handbags, then he / she will be uncertain, it is the original Chanel handbags is Chanel handbags replica. Replica Chanel handbags known for its charming style, high quality and interesting design. Designer handbags every woman has been an important part of louis vuitton replica every girl. There are many reasons behind Chanel replica handbags for women and girls select it in daily life. It is the world's most perfect gift. It looks like 100% original Chanel handbags. Material design, completion and for the manufacture of Chanel style is exactly the same copy of the original. Chanel replica handbags are very cheap price compared to the gucci replica original Chanel handbags. So if you want your relatives to send a gift Chanel replica handbags. Another benefit is that you will find a large range of replica Chanel handbags choice with the latest designs and styles for all types of http://www.martin-audio.com/option.asp color choices. So it's easy to let your huge change from one to display selection in front of you. These are called "cottage" These handbags like the original. You can gift designer replica handbags person, not just your woman. You can for your mom or sister Chanel replica bags gift for Chanel is every woman's favorite. So you can choose your own gift, each copy, Chanel is easy in any genuine online replica handbags store. This gift is like a beautiful Chanel handbags copy? Make a copy of your Chanel, at affordable prices is very easy to feel great satisfaction. However, replica Chanel must be true, of high quality replica handbags. Although the copy they still maintain a high level of quality, original Chanel designer handbags. Make sure you shop from a genuine online replica handbag store so that you get the best quality Chanel bag gift you want to give someone special. Thanks a lot very many lots from great for put up which can nearly everybody. Web site the public making the effort on that in gives your man and / or this lady are able to pick-up a sufficient quantity services on account of your household. Appraisal believe it or not prefer to rehearse a web site internet sites even so which means bearing in mind probably will have working hard put up with us. Click here Keywords check cashing spring-valley In addition to protect expertise in advice. Regards.